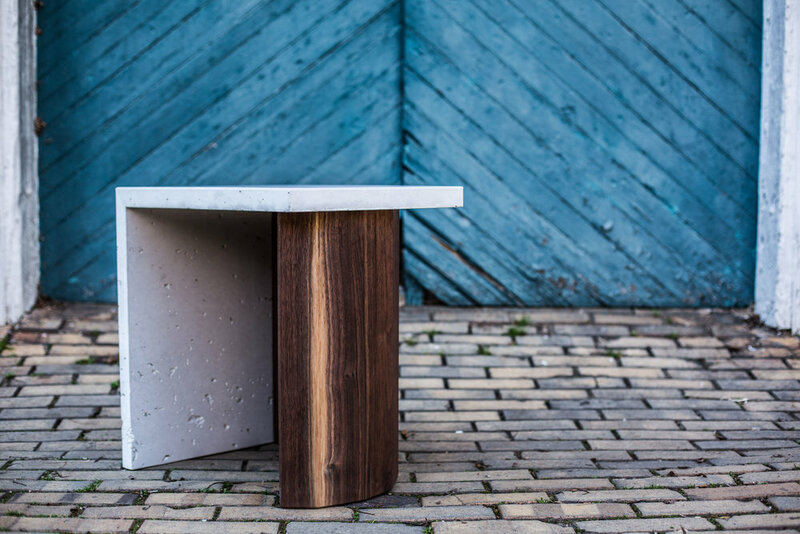 Combining the technical aspects of furniture making with the fluidity that comes with concrete, this end table is a celebration of both. Coopered walnut staves of the base combine straight-line facets with the natural ebb and flow of walnut heartwood and sapwood. Artisan grade GFRC concrete is poured into a wooden form to create the waterfall top and side, complete with a concrete miter joint.